Use to attract someone to you. Use in combination with Harmony to find a compatible roommate. 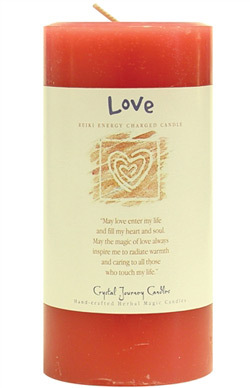 Use in combination with Abundance candle to attract clients to your business. .
"May love enter my life and fill my heart and soul. May the magic of love aways inspire me to radiate warmth and caring to all those who touch my life." Ramakrishnananda Exotic Indian Resins - Kama (Love & Attraction) - 2.4 oz.